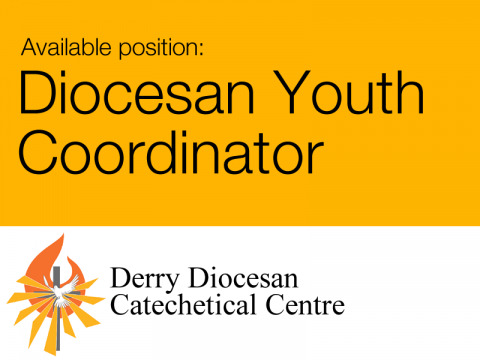 Derry Diocesan Catechetical Centre invites applications for the post of Diocesan Youth Coordinator. 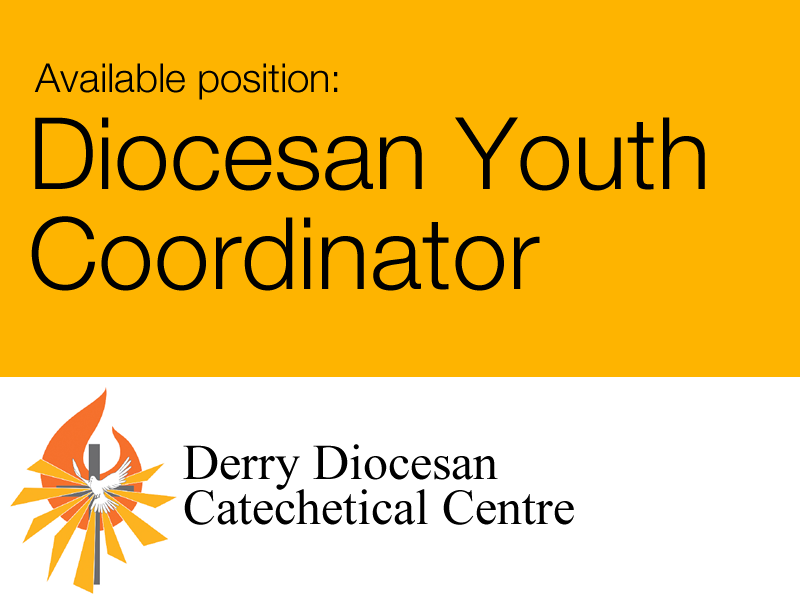 This post represents the continuing development and commitment in Youth Ministry by the Diocese of Derry and will be a challenging undertaking for the successful candidate. The main focus of the post will be working with young people in schools and parishes to help them live their faith vibrantly in their school, parish and community. Engaging young people in faith and the activity of the Church will be the post holder’s priority. A degree in a relevant discipline - Education, Theology, Religious Education or Pastoral Studies. Active involvement in the spiritual and sacramental life of the Catholic Church at parish and/or diocesan level. or telephone: +44 (0)28 7126 2302 during normal office hours.